Advancements in space have been the platform for some of the greatest technological breakthroughs of the last century: including GPS, smoke detectors, portable computing and medical equipment. Without humanity’s desire to expand its universe, we wouldn’t be able to use, let alone have the map app on our phone. However, when we talk about how important the space industry is to the development of the planet, sometimes its laughable. Unfortunately space has the giggle factor; something that appears too ridiculous to be seriously considered, something that is too far beyond our reach to have any seriously implications to the way we live our lives right here, on the ground. This factor alone has slowed the Australian space industry to a crawl. Australia doesn’t have a recognisable space agency, whilst even countries like Mexico are dedicating portions of their attention to space. Our attitudes, and the culture around space needs to change. In what might come as a surprise to many, Australia has a rich history when it comes to space. We were the fourth country to launch a satellite from its home soil. 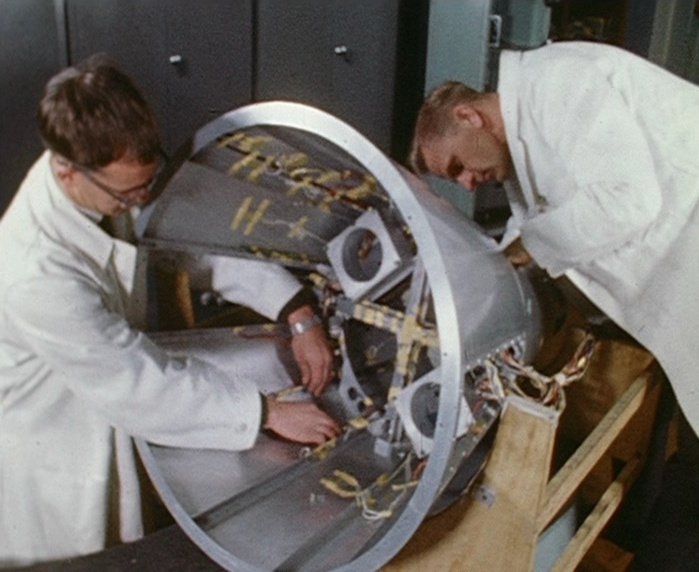 The WRESAT – the name of the first Australian satellite – was launched from Woomera in South Australia in 1967 and orbited the earth 73 times before termination. Australia also provided the radio telescope dish which allowed NASA to communicate with the Apollo 11 moon landing mission. Together, these ventures should have been the perfect spring board for Australia to become an important player in space technology. But nothing eventuated and Australia never successfully launched another satellite. So why should we return to the forefront of space? Some of Australia’s top Universities have Aerospace Engineering programs – Monash, RMIT, UNSW and University of Sydney – but a great deal of these students are leaving Australia to find work and gain experience overseas. Even once they have developed the skills to be successful in the industry they can’t return home to their families because there are no jobs to return to. This is just the tip of the iceberg for issues that have developed due to Australia’s unwillingness to invest in space. During the Black Saturday bushfires Australia struggled to keep up with the movement and development of the fires, eventually resorting to satellite intelligence from China’s National Space Administration. If this data wasn’t available to us these fires could have been far more deadly. Natural disasters are often devastating, to detect and prevent flash floods and fires Australia needs to have its own satellites because these foreign ones will not always be there. “We’re very reliant on the assets of other nations – if the US decided to turn off the GPS we’d be on our own,” Professor Malcolm Walter – Director of the Australian Centre for Astrobiology – states. Not only could Australian satellites help in times of natural disasters, but it could also help in mineral exploration, monitoring of crops, better telecommunications and more accurate GPS data. This will help lead to more discoveries, furthering Australia’s economic and social development. While satellites are just one small part of what a space agency would mean for Australia, there are a lot of other benefits that could come from an agency. Medical research is a huge focus of this day and age and as mentioned earlier space agencies have already been a part of that push. From light sensitive cancer medication to the engineering of heart pumps, a great deal of innovative and lifesaving equipment has come from advancements into space. Despite this, Australia’s attention to space continues to regress. Australia is rapidly decreasing spending on space education, innovation, and exploration, so much so that the word ‘space’ is not even mentioned in the 2015-16 Federal Budget. Compare this to Canada’s space agency budget of $409 million last year and it’s easy to see why Australia is so far behind. Australia is one of the only developed nations in the world to not have a national space agency, and we are hurting because of it. Like starting any organisation, substantial up-front investment is required and the returns on a space agency will neither be quick nor immediately lucrative. But like most great achievements, the rewards from investing in space exploration and technology will eventuate through long term investments and commitment. The precedent has already been set by NASA, the European Space Agency and the Japanese Space Agency, which have shown that these types of agencies can become financially self-sustaining. As Andrew Dempster – Director of the Australian Centre for Space Engineering Research – explains, Australia’s science community is lost and directionless as a result of the country’s refusal to implement a national space agency. The entire community has been impacted as a result. The National Broadband Network is preparing to launch 2 new satellites, however they are not being designed, built or launched by Australia; an enormous missed opportunity. It is understandable that it is hard for some people to justify why Australia should invest a great deal of money into a space agency when many local hospitals need more beds. However a space agency should be seen as a long term investment that can help ensure the security of this country’s future. A greater emphasis on the space industry in Australia can lead to better telecommunications, medical advancement, quicker natural disaster responses, the creation of jobs and the monitoring and connecting of regional Australia. By not having a space agency spending in the sector becomes futile as significant inroads can’t be made. It’s time to join the rest of the developed world and create The Australian Space Agency.